Do you and your research team need a custom designed solution? All Linkam stages are designed and manufactured at our factory. 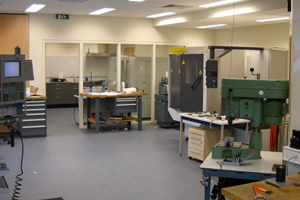 We have an extremely experienced R&D team made up of Mechanical, Electronics and Software design engineers. Our R&D department have dedicated advanced CAD machining centres, 3D printing and 3D design software to enable us to design and manufacture sophisticated instruments, electronics and software specific to your unique application. We like to invite scientists to approach us with ideas for stage modification or to conceptualize a new project custom built for their unique application. In fact many of our products are modified as a result of the continuous feedback we receive from hundreds of users around the world. We have designed and manufactured custom stages for many types of application from leading pharmaceutical and materials industries to cutting edge research universities. Due to the high demand for Linkam custom projects we have now opened a new purely research and development facility in The Netherlands. Please contact us to discuss your ideas for a new design or modified instrument.